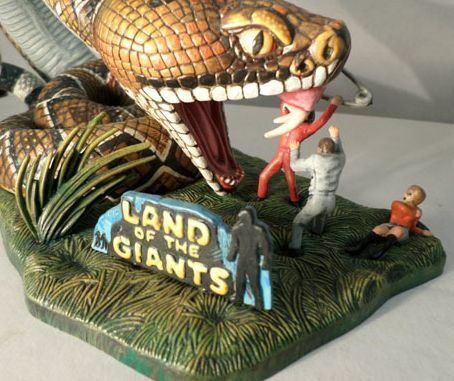 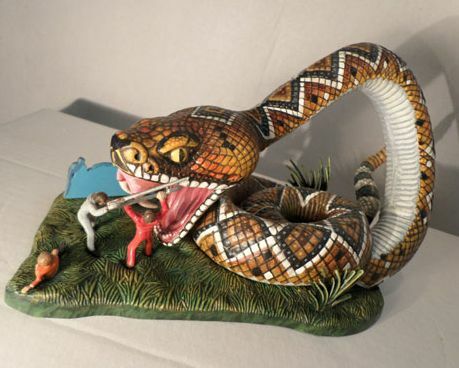 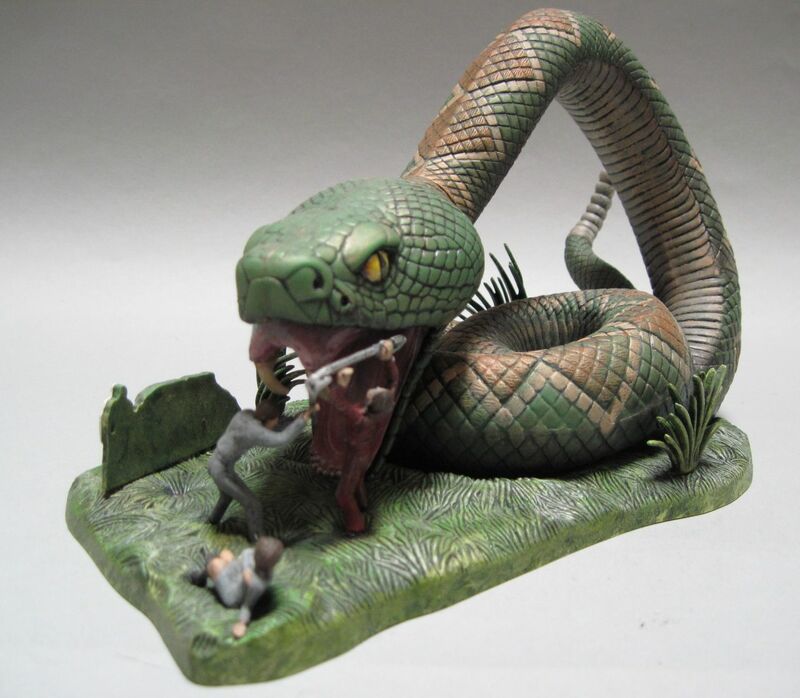 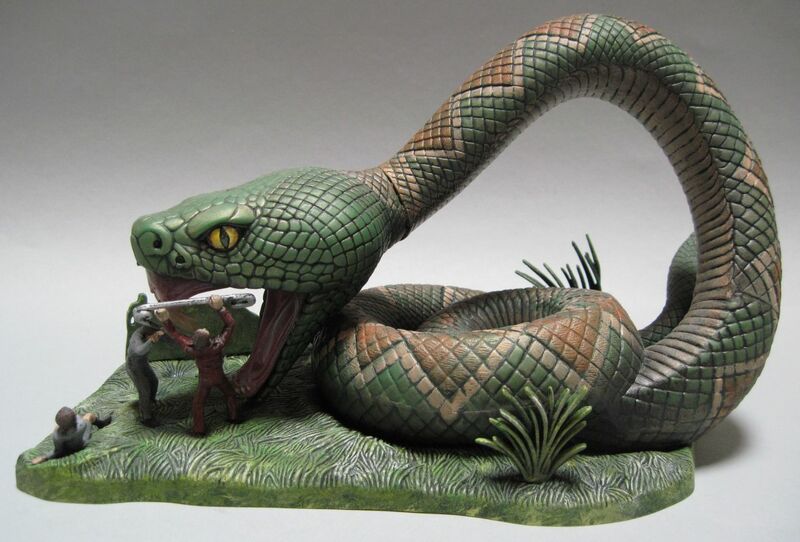 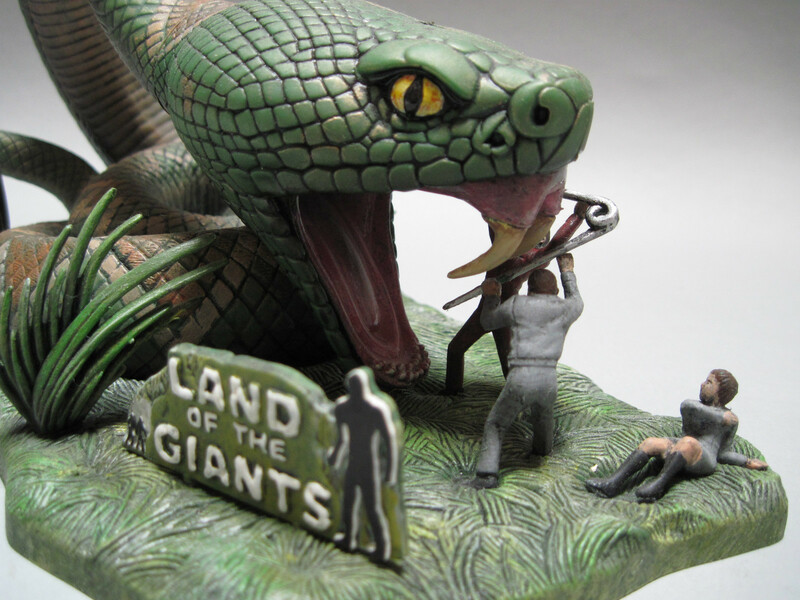 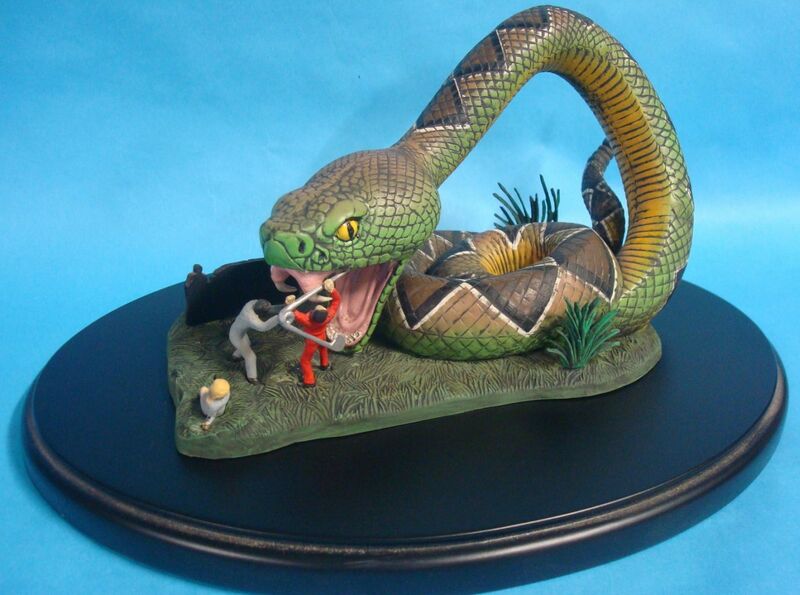 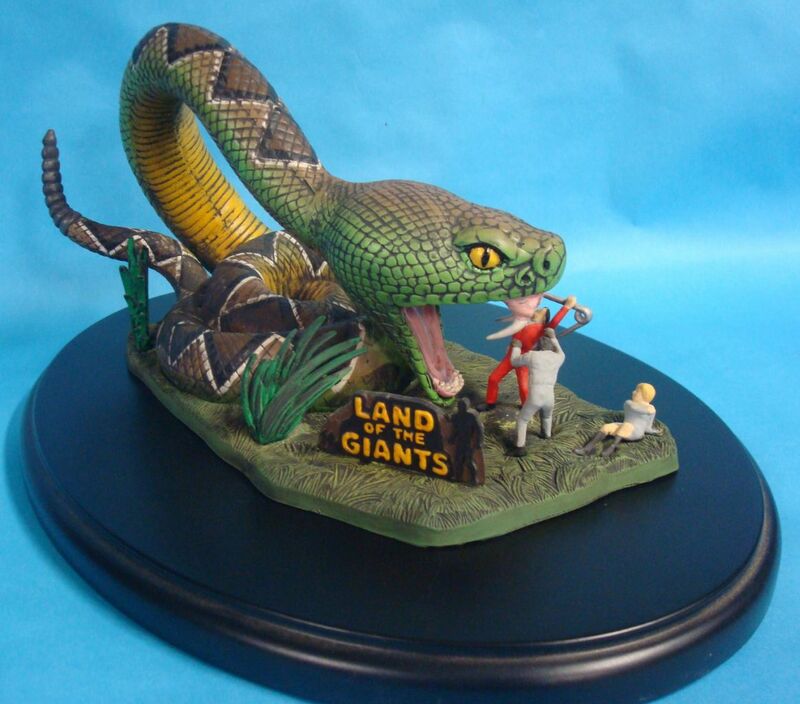 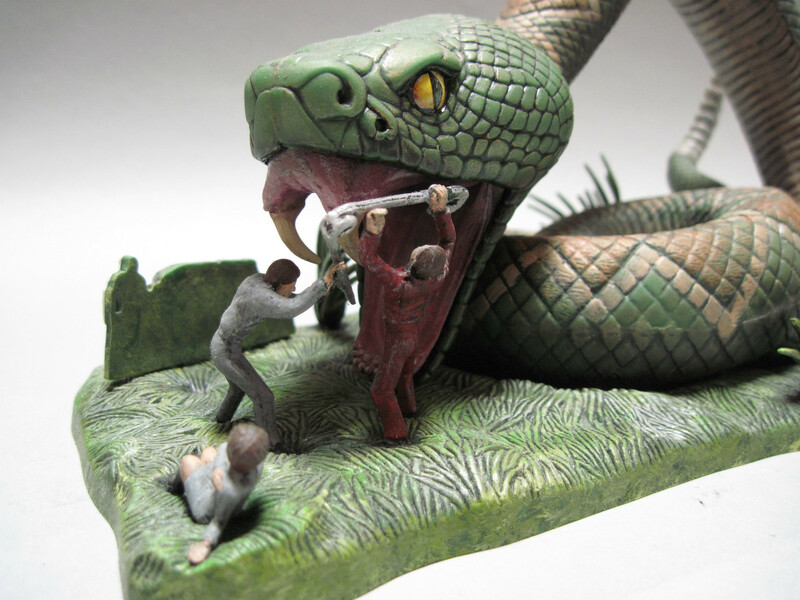 The beloved "SNAKE" model kit (#7152) from LAND OF THE GIANTS, manufactured by Polar Lights and reissued in 2002 from the original Aurora molds. 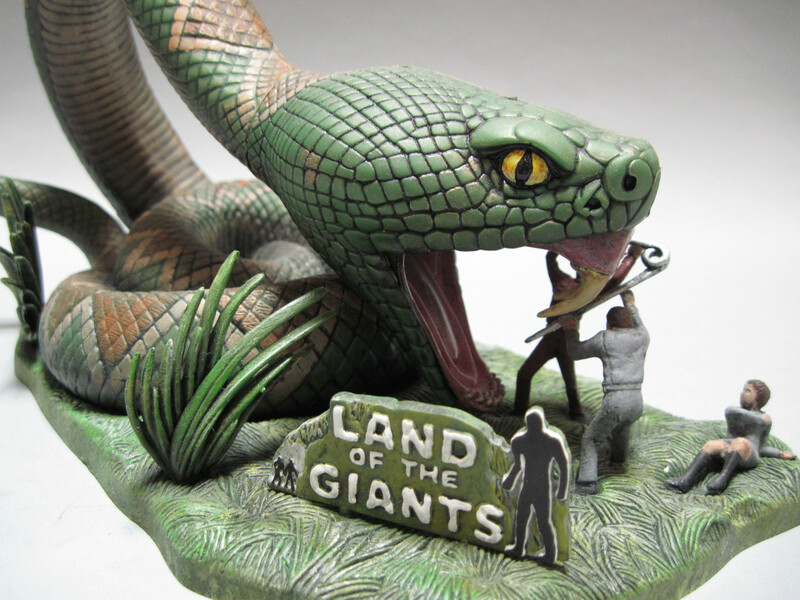 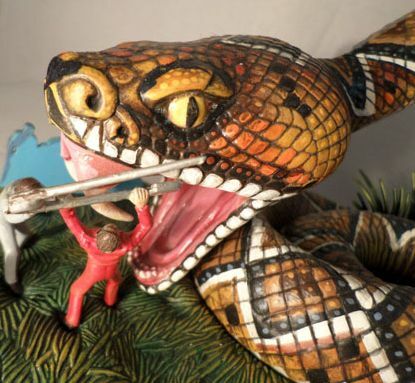 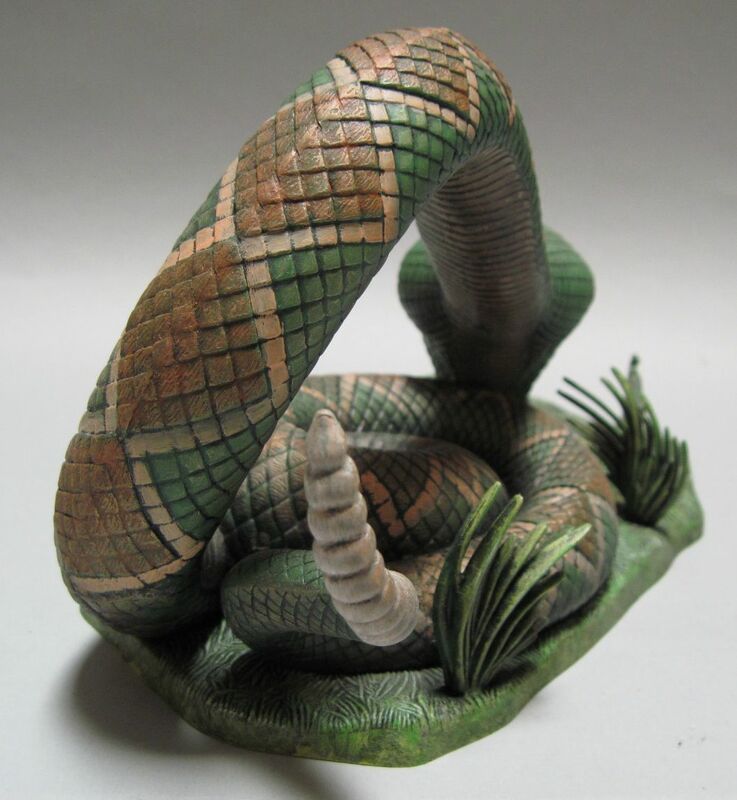 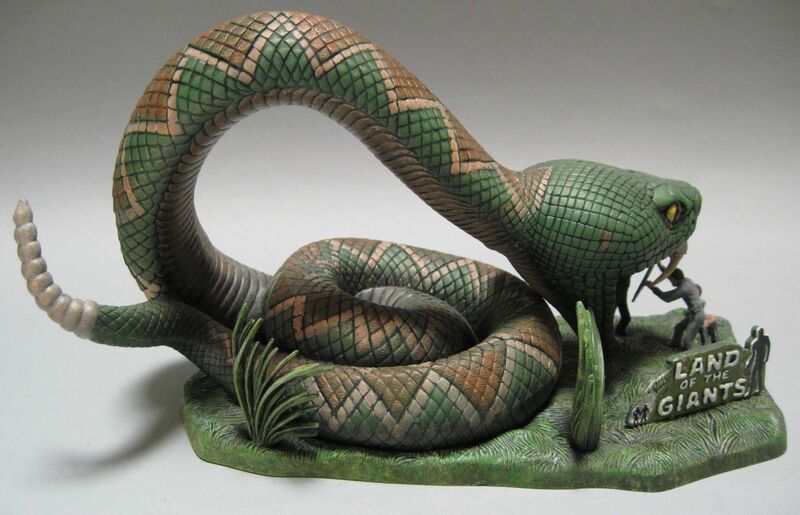 This dynamic styrene diorama measures roughly 10" wide, 5" high and 4.5" deep and comes fully assembled and meticulously hand-painted by famed kitbuilder Bill Craft of Craftbeast Designs. 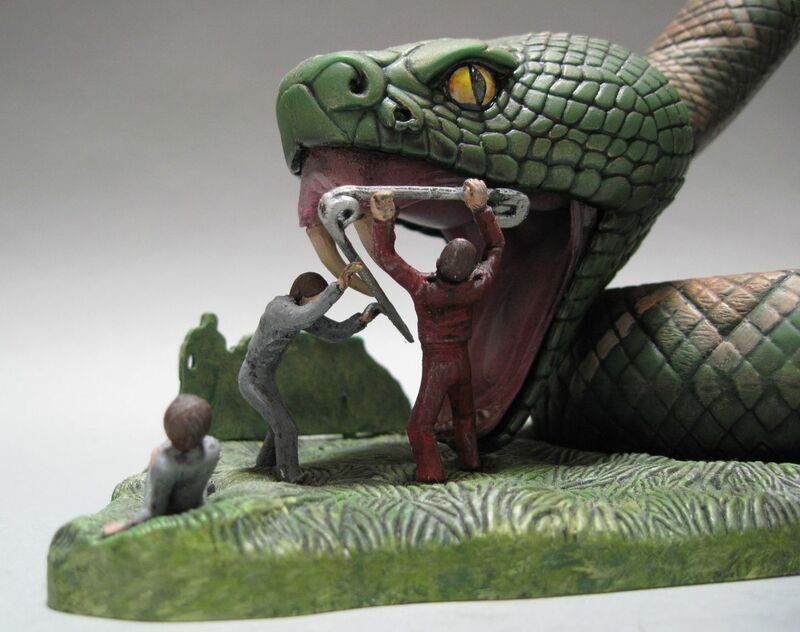 This actual build-up was also seen on the cover of Issue #50 of the now-defunct Modeler's Resource Magazine.